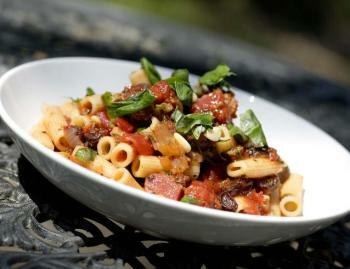 If you’re a vegetarian, you’ve got a whole world of awesome options for food in Columbus. 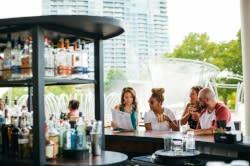 You won’t be relegated to just one pasta dish on the menu - these are just a few of the great places to eat in Columbus for vegetarians - and most have something great for omnivores as well. Northstar Cafe - The Northstar Burger is the gateway sandwich to Columbus’ vegetarian scene, and we’d stack it up against the best meat burgers in the city. Made with brown rice, beets and lots of other healthy and hearty ingredients, it’s just one of many vegetarian options at Northstar. Portia’s Cafe - Located in Clintonville, Portia’s serves all vegan and often raw fare. The raw broccoli soup is a delight and there’s a full complement of salads, sandwiches and entrees. Desserts are tasty while feeling light. Basi Italia - This fine dining restaurant isn’t strictly vegetarian, but it treats plant based ingredients with equal respect as other proteins. When local produce is in season, expect tremendous celebrations of tomatoes, squash and more. Udipi Cafe/Dosa Corner - South Indian cuisine is always a safe bet for vegetarians and vegans. These two spots are among the best in the city. Udipi serves a huge variety of dishes while Dosa Corner focuses on the hearty dosas - filled chickpea crepes. Both are a great value. 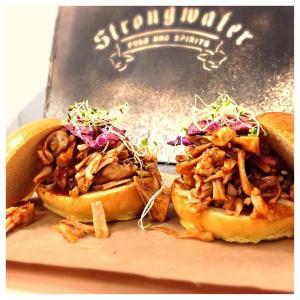 Strongwater - New to the up and coming neighborhood of Franklinton, Strongwater’s jackfruit tacos are a delicious alternative to the meatier variety. The jackfruit (with a texture similar to pulled pork) is topped with a spicy slaw and chimichurri. Strongwater has a whole range of other thoughtful vegetarian dishes.